The number of Chinese visitors heading to some of the Lake District's main attractions has reached a record high. Wordsworth House in Cockermouth has had its busiest visitor season for five years. More than 29,000 people visited to the childhood home of the world famous poet between March and October. Two special exhibitions were held, which saw a visitor increase of 15 percent on the previous year. The house was affected by flooding in 2015 along with the rest of the town, but reopened in April 2016 following extensive repairs. "Both the flood in 2009 and 2015 did hit us very hard, there was an awful lot of work for the staff team over both of those winters. "So it's taken a little while to get back on track, but it's really nice to sort of feel we're on an upward trajectory now with that." Winners at this year Cumbria Tourism awards have been commended for their contribution to the county's tourism and hospitality industry. Local events held at Dumfries & Galloway have received funding from VisitScotland, with the aim of improving domestic tourism. The Beacon museum in Whitehaven, west Cumbria, has been shortlisted for a Cumbria Tourism Award. The museum received a nomination in the 'Visitor Attraction of the Year' category. Its visitor numbers have increased by 24%, with over 24,000 visitors over the last year. This recognition adds to what visitors are already telling us. We hear frequently about how visitors love the new exhibitions and upgraded events. We get excited about innovating and change, so that we remain relevant both for locals and for tourists. The Cumbria Tourism Awards will be held on Wednesday, 21st June. Cumbria Tourism says most businesses have had a good Easter. Cumbria welcomed 3.2million visitors over the Easter bank holiday in 2016. Eden's food and drink industry will be celebrated at a special event today. There has been a six percent increase in footfall at historic abbeys in the Scottish Borders. Over the last 11 months a record-breaking four million people have visited historical sites across Scotland. Together Melrose, Jedburgh and Dryburgh Abbeys welcomed more than 90,000 visitors, an increase of six percent on the same period last year. 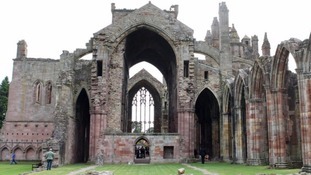 Top of the trio of historic staffed attractions in the Scottish Borders was the medieval Melrose Abbey, which saw footfall increase to 49,566, a jump of around eight percent year-on-year. That makes it the tenth most visited staffed attraction in Scotland.